Foxwoods—New England's largest casino in Mashantucket, Connecticut (map)—was once the largest casino in the world. It remains one of the largest casinos in the United States: second only to WinStar World Casino in Thackerville, Oklahoma. Call me biased, but with so much to do near Foxwoods and another of America's best and biggest casinos—Mohegan Sun—just a 20-minute drive away, why would you ever go to... Thackerville? Owned by the Mashantucket Pequot tribe and open 24 hours a day, 365 days per year, Foxwoods Resort Casino is celebrating its 25th anniversary in 2017. What began as a Bingo hall has survived economic ups and downs and evolved to become so much more than a gaming destination. Foxwoods is Connecticut's non-stop entertainment hot spot. Yes, you'll find 4,800 slot machines, the largest poker room on the East Coast, table games like Blackjack and Craps, a Race Book where you can watch and bet on dog and horse racing and jai alai, plus a Bingo Hall that goes on forever—it's one of the largest Bingo destinations in the world. But, you'll also lose hours engaged in activities that are a guaranteed win like dining on everything from steak to an all-you-can-eat buffet at the casino's always expanding line-up of restaurants, shopping at Connecticut's only indoor outlet center and being entertained by some of the world's best performers, from Jerry Seinfeld to Nik Wallenda. In the summer, Foxwoods hosts Liquid Sundays pool parties that will remind you of Las Vegas. And in the winter, an outdoor ice rink is a magical spot to embrace the season's chill. And you don't want to miss the Mashantucket Pequot Museum, one of Connecticut's best museums, which is a five-minute drive away, and Foxwoods' Lake of Isles golf course, which is nearby in North Stonington and the finest public course in Connecticut. 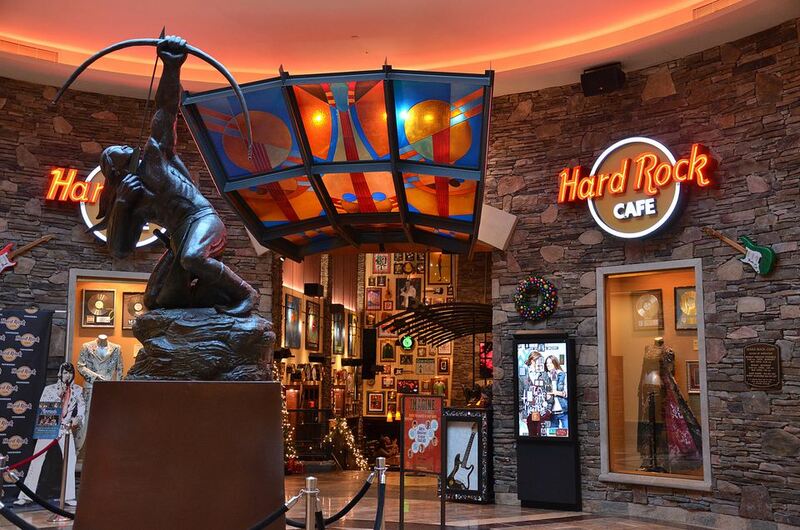 Whether you've never visited Foxwoods or you're a Foxwoods Rewards Card-carrying regular, I'll help you discover the best this New England and worldwide landmark has to offer, from free concerts in the Wolf Den to premier restaurants. This guide is designed to provide all of the information you need to plan your Foxwoods casino day trip or extended vacation. First, decide how you'll get to Foxwoods: There are more options than you might imagine, from driving or flying to taking a bus or ferry. The resort complex is home to three hotels, or there are plenty of places to stay nearby, from B&Bs to spas to chain hotels. A Foxwoods getaway puts you in the heart of southeastern Connecticut, close to dozens of other nearby restaurants, attractions and outdoor adventures. I'll bet you can't pat a beluga whale's tongue in Thackerville!